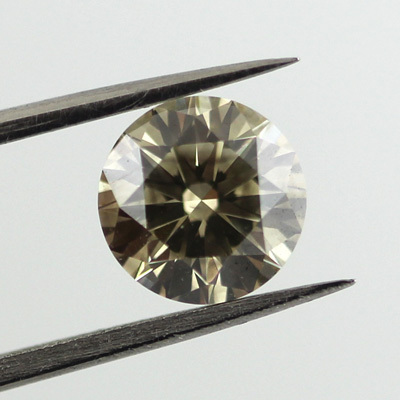 This fancy gray greenish yellow diamond offers the best of both worlds: an unusual color and a timeless round cut. As it boasts very good polish and very good symmetry, you'll be hard pressed to find any flaws on this diamond. Additionally, at 1.13-carats, the stone is an ideal weight for any piece of jewelry.